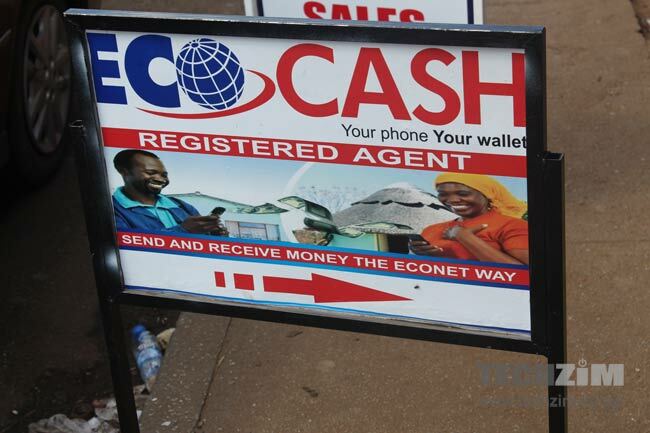 A few months ago, local mobile operator, Econet Wireless announced that its mobile money remittances service, EcoCash Diaspora, had finally received approval to start operating in South Africa. This was a huge victory because of the long process that had preceded this green light, plus the massive potential of the South Africa to Zimbabwe remittance market. Now, Econet has confirmed that the service will be launching early next month. 200 customers will be signed up for the soft launch, and EcoCash has highlighted that it has been working with strategic partners for the training of agents and finalisation of other important details. The service will only be available to Zimbabweans who have an Econet Wireless South Africa Call Home SIM card, which is powered by Cell C and R50 has been set as the lowest amount that can be sent through the service. According to Douglas Mboweni, the Econet CEO, the Call Home SIM card is now being used by close to 1 million subscribers. According to Econet, one of the strategic partnerships behind EcoCash South Africa has been with a company called Flash Mobile Vending, which is a subsidiary of Pepkor, the South African retail giant behind the PEP stores. Flash has a mobile vending solution which is used throughout South Africa and has already been integrated with payments for a host of services. Econet is already listed as one of Flash’s partners on the payment comany’s site, along with a host of other telecoms operators and services. EcoCash likely formed this partnership because of Flash’s extensive footprint (according to Econet Flash mobile payment solutions are used by 60,000 informal sector small business shop owners throughout South Africa) and its clear appreciation of payment service integration. These shop owners, plus all PEP and PEPcell stores across South Africa which will be mobilsied by Flash Mobile Vending, will act as the agent network for EcoCash South Africa. A great move from the MNO (Mobile Network Operator) and I hope the charges for the transactions will be reasonable. And very soon Mandiwanzira and crew will be forcing Econet to share its agents abroad which it entered into business partnership with in the name of infrastructure sharing. Econet is doing infrastructure sharing the proper business way with its partners whereas here gvt wait and fold its hands doing nothing with parastatals. When Mandiwanzira feel left out, they start crafting sloppy laws to reap where they did not plant. How do you encourage it whilst at the same time forcing policies which are targeted and can bring the whole business to a grinding halt? Mandiwanzira is reactional, impulsive and engage his mouth before he goes through anything thoroughly. Maybe those days of being a reporter and chasing sensational news has screwed his vision. He is throwing words and policies before they can be thoroughly reviewed and have a working model. I love it, it’s the greatest news ever so my clients in Zim can pay me direct here in the RSA, the 2 countries must continue forming those partnerships to promote business together. Happy zimba in SA. I have yet to see a micro sim card for the Econet Wireless South Africa Call Home network in the local stores. Even their guys in Joburg have no idea if these cards are available. Anyway I ended up “cutting” one to use in my phone. Still I hope it is cheaper than FNB service or Mama Money. Hi Nigel! Three weeks have come and gone. Any feedback? How do become a Ecocash agent .I am interested to help people from zim in my Area. Yeovelle Jhb. Are you training or you want to be trained?